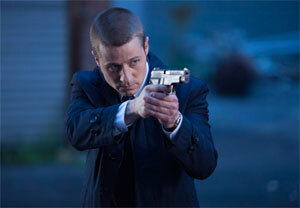 The biggest mistake on could make is to expect Gotham” to be a superhero story. It is an origin story, but not of a superhero, but of an entire universe. DC Comics’ universe that is, centering around the city of Gotham, the playground of Batman. Warner Home Entertainment has prepared the first season of the show for release on Blu-Ray Disc and I was curious to check it out. 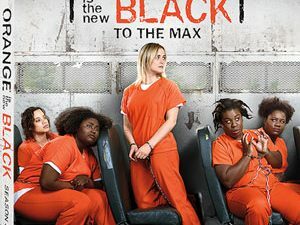 The show intrigued my, even though I had not followed it on TV when it aired last year – but then again, I do not follow any TV show while it’s running on TV. I always wait for the respective season release on disc so I can watch and enjoy it with its proper continuity. As I mentioned in my opening, “Gotham” is not a story of superheroes so you won’t find any caped crusaders in the show. Instead, it is the story of how the characters we know as superheroes – and super villains – came to be. It tells the story how Oswald Cobblepot became the Penguin, for example, years before he had his clash with Batman, his coming-of-age, so to speak. The same is true for the many other characters that make up the world of “Gotham,” and you will find many, many familiar names here, observing how their environment shaped them to later become the villains and heroes that we know so well. The catalyst for it all, and thus the way the show starts is by showing us the night when Bruce Wayne (David Mazouz) loses his parents in a dark alleyway. We’re all familiar with the events, I’m sure, the mugger shooting his parents in cold blood, right before his eyes, sending shockwaves through Gotham, as the Waynes were the city’s most wealthy benefactors and Wayne Industries the driving force behind almost everything that is moving the city forward. From there, the story develops of its own – and oftentimes only loosely based on the origin stories referenced in the comic books – as detective Jim Gordon (Ben McKenzie) investigates the case and asks the question if, perhaps this was not a random mugging but rather an execution. Who benefited the most from Wayne Enterprises being without its beloved leader? Gordon and his partner Harvey (Donal Logue) dig deeper into the case and from there spawns a season-long story of corruption and crime that allows alliances to be forged, secrets to be compromised, and lives to be destroyed. 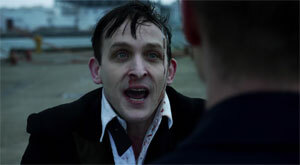 The fascination of “Gotham” lies in the fact that we are so familiar with the milieu, the genre and the characters, and it is simply fun to see Oswald Cobblepot scheming his way from the ranks of a complete nobody to one of the key players in the events unfolding. Without being a super villain, he already pulls strings and plays a major part in the way Gotham is shaping up. We get to witness Bruce Wayne’s almost inhuman determination to find the truth about his parent’s death and to right the wrong that is being done to the people of Gotham – all at the tender age of fifteen or so. He is nowhere near being Batman at this point. He is vulnerable, weak… though at the same time, smart and determined, and under the tutelage of Butler Alfred, he is growing in character as well. The list of familiars goes on and on, all contributing to this early origin story in their own way, such as a young Selina Kyle, Ivy, Harvey Dent, Falcone, Sal Maroni, and many, many others. 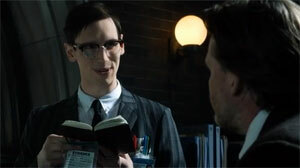 I found “Gotham” to be magnetic and I simply could not stop watching the show. It strikes the perfect balance between the familiar tropes and original twists and ideas, and interestingly enough, one of the most intriguing and fascinating characters of the show is Fish Mooney (Jada Pinkett-Smith), a villain created specifically for the show. Jada steals the show whenever she’s on the screen, there can be no doubt. Her seething menace is in such contrast to her beauty that she simply takes up the entire gamut of character personality that any one person could possibly represent. In a sense, she is the only character with super powers on the show, the power to hypnotize viewers without even looking at them. 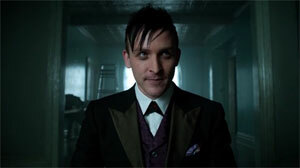 But I would do discredit to the cast as a whole, because “Gotham” offers up spectacular performances throughout. There is not a single weak portrayal in the show and everything looks and feels as authentic as any fan could possibly ask for. Naturally, there will always be comic book purists who will decry certain facets of the story and they relationship to the comic books, or lack thereof, but since this is a mainstream television show and not the “Encyclopedia of the DC Comics Universe” all these can be easily forgiven, particularly in light that the vast majority of viewers will not be familiar with any particular obscure comic book edition that was released 50 or so years ago. Clearly, in the case of “Gotham” the entertainment value is tremendous, and the authenticity and density is exponentially higher than any superhero movie before the dawn of CGI had ever accomplished. To complement the spectacular show, the “Gotham” is, Warner Home Entertainment is presenting and equally spectacular Blu-Ray version of the show. Arriving in a 1080p high definition transfer in its original widescreen aspect ratio, the look of the presentation is simply jaw-dropping. Easily, “Gotham” can compete with the biggest Hollywood blockbusters in the presentation department. The image is incredibly rich and offers a level of detail that truly makes it look like a million bucks. 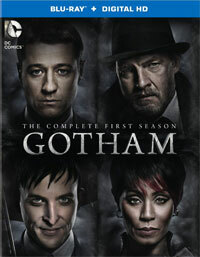 Combined with the edgy look of the city of Gotham, all of which is perfectly translated in the transfer with deep shadows and vivid hues, the overall presentation is among the best any television show has ever received. And did I mention the black levels? Yeah, you have to see them to just believe how dark and unforgiving the shadows of Gotham can be. Everything about this release is utterly impressive, and the audio presentation is no different. Extremely aggressive, the audio track does not shy away from shaking your house foundation a little with its brutal bass extension, but it also makes sure to bombard you with sounds from every direction. With mesmerizing clarity, the surround sound field is transparent and almost constantly engaged, though not for effect, but to build ambiance and to properly place elements in the sonic space. Dialogues are perfectly integrated and always understandable, adding to the experience. On four discs, Warner Home Entertainment presents you all 22 episodes of the show’s first season, but it further adds to it an impressive collection of futurities that take you behind the scenes of the show, its setting, its origins, its characters, its cast, and so much more. It is a treasure trove in its own right, just to see and hear the participants talk about the show and how it all fits together. The only downside of the release is that it includes an UltraViolet copy of the film, instead of a proper Digital Copy. UltraViolet is about as useful as a microwave oven without a power cord, as it still does not support they key platform of digital video, iTunes. I am honestly getting tired of UltraViolet playing politics, forcing people to install a million different players with a million different user accounts, just for something as trivial as watching a movie on the device, and I think there is no bigger disservice studios could do to their customers than using this half-baked, walled-in technology. “Gotham” is a real treat. Not only for comic book or superhero fans but for everyone enjoying TV shows filled with intrigues, suspense, politicking, betrayal, action and general drama, along with a really good sense of humor. I loved every minute of the show and to me, it is without a doubt the best TV show that ran last year, hands down. It has everything, and more, and it gets it all perfectly right.